Find countless tailor-made test options to further prepare you for any job selection process. Many past clients have asked how to determine which series of tests are most valuable for their career path. The best advice is to personally search on jobseeker forums. 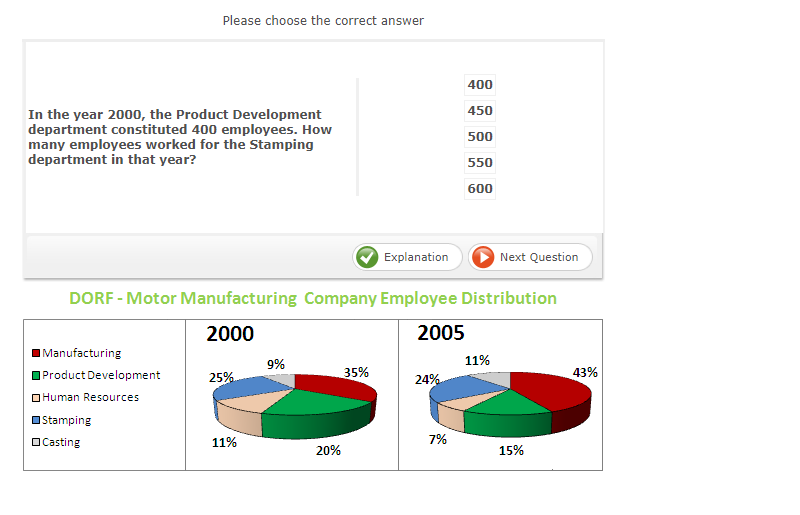 There you can find past applicants and find out which test provider is commonly used by your chosen company. Browsing these forums will allow you to grow a better understanding of what to expect during their aptitude tests and sit-down interviews. To further improve your prospects of employment, we have composed countless company pages to guide you on the right path. Each of our pages is designed to help you take on the unexpected during the recruitment and interview processes. Our psychometric PrepPacks™ are thoroughly researched and carefully formulated by experts in their corresponding fields. Additionally, we conduct surveys from past clients and incorporate their feedback to ensure you receive the most accurate version of the real test. By purchasing our products, you have the ability to triple your chances of obtaining the job you want. Don't allow your dream job to slip through your fingers - Begin practising now! If you are dissatisfied with our product, know that a full refund is obtainable. We have a support team ready to meet your needs 24/7. Questions range from general inquiries, technical difficulties, business developments and more. Click here to learn more about our refund policy. Each company uses a particular test provider. Knowing the test provider before you sit the test can make a huge difference for your application process. By pre-practising, you familiarise yourself with the test format, question-style, time limit and level of difficulty. Below is a list of the most commonly used test providers.